Centrally located, this convenience store with a Canada Post outlet has been in business for over 20 years. In addition to providing all standard postal services, the store sells various convenience items, as well as tobacco. The business has a retail tobacco license, as well as MoneyGram® rights. 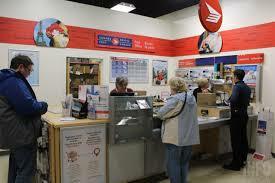 Due to the Canada Post services and the nature of the goods sold by the store, the revenues and earnings of the business have been very stable throughout the years and are steadily increasing. The current owner acquired the business in 2017 and is selling it due to family circumstances. The current owner operates the store on his own with part-time help during busy periods. This would be an ideal opportunity for a husband and wife team. The store is open Monday – Friday, 8:00AM – 7:00PM, and on Saturdays, 10:00AM – 5:00PM. The store is closed on Sundays. The store is significantly busier before Christmas and other holidays, due to increased mailing activities. It is critical to have help during these times. The equipment of the business consists of typical retail store fixtures and equipment. The store is also set up with and has the license and all necessary equipment to sell ready-to-eat food items. There are no special skills needed to operate the business. The new owner will have to sign a Canada Post Dealer Agreement and undertake formal training with Canada Post. The seller has agreed to assist the incoming buyer with two weeks of training at no extra cost, to accommodate a smooth transition, and will also be available for consultations afterwards.